Next story in Gut Check Is 'green jobs' initiative on target? From 1880 to 1924, more than 2 million Eastern Europeans, mainly Catholics, immigrated to the U.S. Of those, immigrants of Polish ancestry were the largest group. During the same period, roughly two million Jews came to the U.S., seeking opportunity and fleeing the political massacre taking place in Eastern Europe. 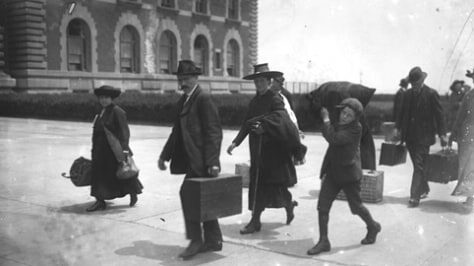 Italian immigration to the U.S. reached its peak of over 2 million between 1910 and 1920. Immigration quotas passed in the 1920s tended to favor earlier generations of immigrants by giving preference to Northern Europeans.